Do you have a question or a special request? We have multiple properties in Beaver Creek, please contact us. At Book Luxury Today, our goal is to provide the best value to our customers. Due to our smart analysis and technology, we are able to offer our guests low nightly rates, at one of the best luxury true ski-in/out resorts in the world. PLEASE INSERT DESIRED DATES TO GET A QUOTE ON NIGHTLY RATES. This Ultra Luxury Master Residence is located inside the Award-Winning Ritz-Carlton Bachelor Gulch Resort Hotel on Beaver Creek Mountain. The Gondola is right outside the hotel lobby, providing unmatched ski-in/ski-out access on Beaver Creek Mountain. This Master 2 Bedroom / 2 Bathroom Residence features features a fireplace, 3 Ski-Mountain view private balconies, a full kitchen w/ SS appliances, and a full living room with a sofa bed. Located on Beaver Creek Mountain, this is a true ski-in, ski-out hotel—Bachelor Gulch Express lift is just outside of the hotel’s lobby. Guests have full use of the hotel’s amenities, including the award-winning spa, pool, hot tubs, fitness center, ski concierge, and many more. Guests can also enjoy roasting s’mores over the outside fire pit or dine at one of the superb on-site restaurants. During the summer months, enjoy hiking, biking, golfing at one of Colorado’s top-rated golf courses-Red Sky Ranch, or enjoy the many many other outdoor activities Colorado has to offer. 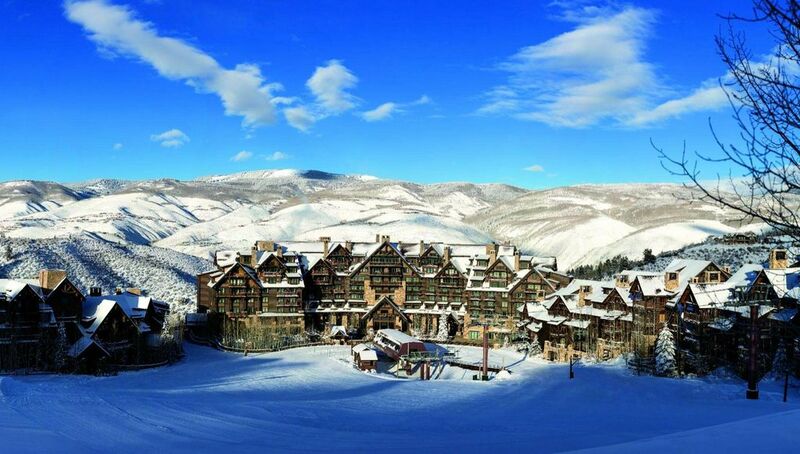 --Best ski-in, ski-out access on Beaver Creek Mountain. --Ritz-Carlton Bachelor Gulch Spa, rated four stars by Forbes and ranked No. 1 hotel spa in the Continental United States in 2013 by Travel + Leisure magazine. --Partnership with Red Sky Ranch Golf Club, which offers 2 amazing courses - Fazio course & Norman course. --The Ritz-Carlton, Bachelor Gulch is ranked No. 1 on the Travel + Leisure 2013 World’s Best Awards list of Top Hotel Spas in the Continental U.S.
*Housekeeping is offered every other day. *Please Coordinate Parties/Events with the Ritz. *Please enjoy yourself and let us know if you have any questions. The hotel concierge is at your service. Our family vacationed at the Ritz-Carlton Bachelor Gulch for the first time in 2015. It was our first family vacation after the birth of our daughter, and we fell in love with the property and the area. We came in contact with the developer made our purchase within the Ritz Carlton Bachelor Gulch. In summer and winter, this mountain retreat is gorgeous. Whether skiing, hiking, mountain biking, or enjoying a delicious dinner mountain-side, we think you will also love this property. The rooms are beautiful, the spa is first-class, and the dining is terrific. And all this is before you step outside and the ski lift is just steps away. The Ritz Carlton Bachelor Gulch is an Award-Winning hotel. Both bathrooms are master baths featuring marble showers, large bathtubs, and elegant marble vanities. Great unit, location and property. Quick to book, full access to Ritz services. The Ritz Carlton is the epitome of excellent service, and, this Ritz doesn't disappoint. This unit is one of the best locations. You are near elevator and directly above the ski valet. It is perfect to look out in the morning, while you enjoy your coffee. Apres-ski is even better with the view from the balcony as you listen to the live music and watch the skiers come down on the last run of the day. We couldn't have asked for better weather, sunny skies and warm weather made this a wonderful experience. Andres was very responsive via email leading up and while we were on our trip. Excellent! Spacious, beautiful condo with all of the amenities you would expect of a 5 star Ritz property. Outstanding! This Ultra Luxury Master Residence is located inside the Award-Winning Ritz-Carlton Bachelor Gulch Hotel on Beaver Creek Mountain.